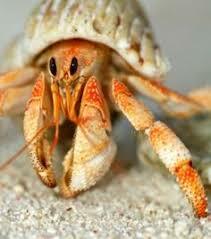 Fabulous in their natural shells or hand painted designs crazy crabs make marvellous pets. Available in various sizes and sourced in Western Australia, they’re terrific additions to any home. We have all the accessories you need to get started with small and medium portable plastic tanks and starter kits. Or if you’re not keen on taking home a new pet you can buy one of the beautiful natural or painted shells.